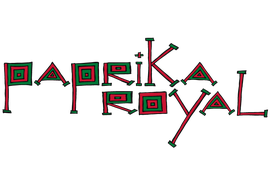 The Paprika Royal Company was born from the encounter between two street artists. In 2016, they decided to bring together their cultures, skills and different experiences to create a show which features circus and clowns but not only…. Coralie Firenza grew up by the windy and sea-swept Atlantic Coast. Riet Duri Strähle was born in the heart of the Swiss Alps. Travelling has sharpened their critical and mischievous look upon the world. Fate led both of them to study in different places: drama school and circus school. There, they met the loves of their lives: clowning, juggling, and the Cyr wheel. And then, in festivals, cabarets, and companies.